2014 was the year I got a new studio, wrote a new book, had lunch with my writer idol. My cats waking me up in the morning; Belgian fries with my best friend every Friday. I had two regrets: I didn’t publish my work for another year & both my cats have been severely ill. One made a full recovery, the other is still keeping me home bound. Next week I ll give you tips on how to make the small stuff better, but since we have January 1st already this week: Start a gratitude journal. Preferably by buying an agenda for 2015, one week over two pages, so that every day has a designated space. This is more motivating than a gratitude journal with blank pages, without a date. Write down, before you go to sleep, two things you re grateful for. Two fun things that happened. It’s like a mini diary with only positive things. Maybe you recognize that dazzling feeling when you live your passion. It can be when you have achieved something but more likely it’s when you know you’re on the right track. Sometimes when you achieve your goal things are even better than imagined, sometimes a dream comes true and it’s not what you thought it would be. When I was in college it took me over a year to get an internship in Australia, and when I was there nothing panned out. Or so I thought. In retrospect, I grew into my future self, became a writer (by writing emails home) and found my spiritual teacher. It was much more than I anticipated, just not what I expected. And also the dream of going to Australia was important in itself. Just like we need the small stuff in our life to work, we also need something bigger to believe in. We need a dream. Watch this week’s video, and even if you don’t know what your dream is yet, you ll already get the feeling. It’s a holiday week so your practice will be at home. 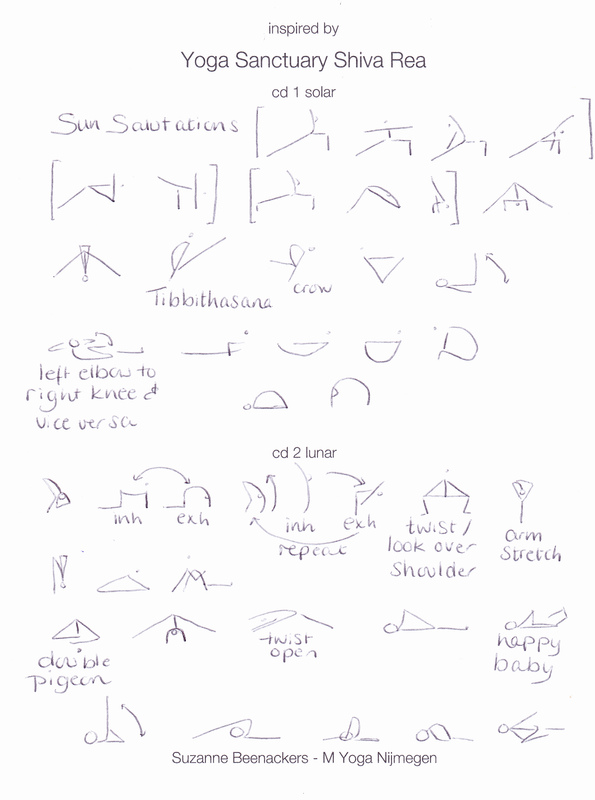 I used the sequence from cd Yoga Sanctuary by Shiva Rea. For years in a row I practiced the two cds back to back (almost 2 hours) every 31st of December. For this year I created sticky men schedules. Have a great transition week- moving into a great and fabulous new year! Classes resume Monday January 5, 2015. 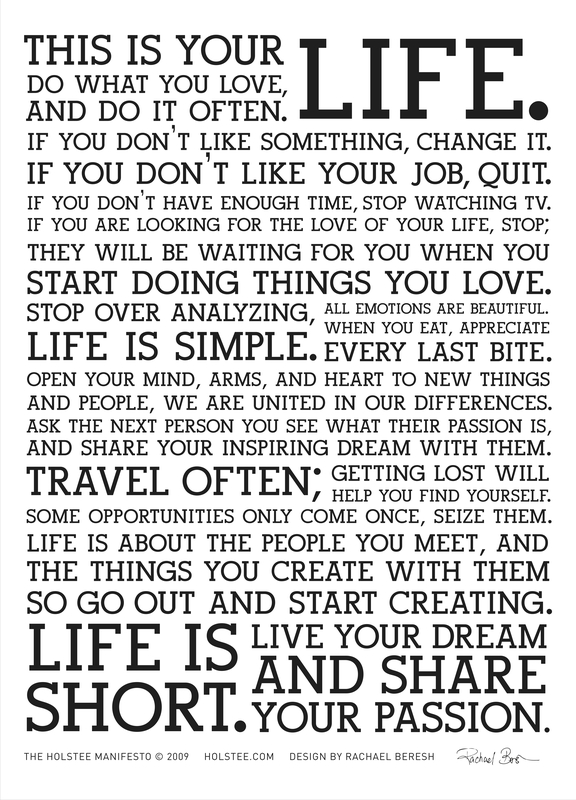 This entry was posted in Personal, Yoga@Home and tagged Gratitude Journal, Manifesto, Shiva Rea. Bookmark the permalink.